Do these activities all the time, and you will be on your way to Instagram success. The problem is that you can’t keep this up all the time and every day. 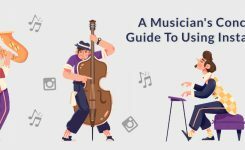 Managing your social media account and in this case, your Instagram account should be the only task in your to-do-list because it will take all your time. It can be a little hard to manage. You should focus on your other social media account, go to important meetings or attend events and create content at the same time. So, how can you promote your Instagram account and make time for more tasks? 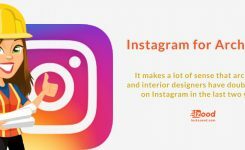 How do you build a successful business on Instagram? The answer lies in using automation tools and Instagram bots. When it comes to automating Instagram tasks, Instagram bots play an essential role. If you own a business account on Instagram, engaging with your audience and keeping a track with them becomes necessary. Instagram bot helps you with gaining confidence in your brand, and you can gain more followers. Now if you are weighing the cons and pros of using Instagram bots, then don’t worry! In this blog, we will talk about the advantages of using bots. 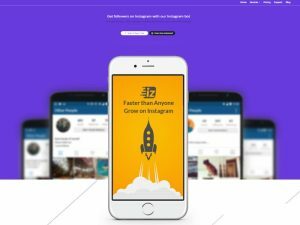 Instagram bots let you automate your daily Instagram tasks. If you want to engage with your audience, you should like their posts, leave comments and follow them. While it can be fun at first, you can’t keep it up 24/7. But now because of Instagram bots, you can sit back and relax, they can do all these tasks for you., so you don’t have to. You can automate Instagram bots to like or comment on posts that used relevant hashtags. They can comment “great post” on any photo with the travel hashtag. They can also auto-follow Instagram accounts in your industry or follow back people who followed you. In short, they can help you promote your brand. Why are Instagram bots a good thing? These days we even like to automate our emails, bill payments, and monthly groceries. People don’t want to repeat routine tasks, so it makes sense that they’d want to automate their Instagram activities too. time is gold! So as much as you need to engage with your audience every day, it is never going to work for you. It is not practical to spend hours a day on your audience’s feeds. You can do these task automatically by using bots. They can like, follow and comment posts all the time. So you get your desired results, with the least use of time and effort. Right? Instagram bots can search for people in your niche and follow them automatically. They can also follow back people who have followed you. So, they will help you increase reach and discover potential customers. Gone are the days when you had to scroll through different profiles to find your potential customer. Instead, you can let the bot generate leads for you. 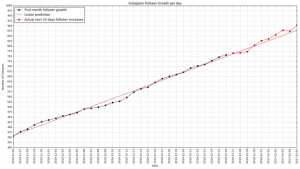 Plus, it can interact and engage with these potential followers and customers. As I have mentioned before, creating authentic engagement takes time. The good thing here is that bots can do all these things for you. They can auto-like, comment and follow other users. This is one of the best benefits you can achieve with the help of an Instagram bot. The bot doesn’t actually care in which time zone you live. When the registered bot works overnight, gets you all the advantages of it. From liking to comment, following to following back; an Instagram bot will serve the purposes all the time. If your potential audience lives outside your time zone, an Instagram bot will run as per their time of feeds, and you can sit back and relax in your home. 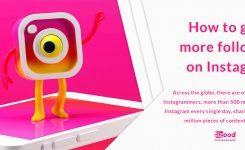 This way Instagram bot helps you make engaging, accessible and interacting irrespective of the time and place. In this age when the time is money, you can’t rely on working all the time manually. Gazing at your phone and scrolling through feeds is not practical all the time. That’s why Instagram bots are the best tools to make use. Therefore, automate your Instagram account and let the bot take charge to make you familiar. Have you used one of them? Tell us about your experience on using Instagram bots. Go on comment us below and tell us about it.